Universal’s getting ready to launch their Monsters Universe next month, which is set to kick off with The Mummy. Starring Tom Cruise and Sofia Boutella, there’s a lot riding on the film. After failing to get things off the ground with Dracula Untold, the studio will be trying again to get their shared universe up and running and they’re pinning their hopes on Alex Kurtzman’s upcoming blockbuster to help them get the ball rolling. Admittedly, it looks like a pretty fun ride, but analysts aren’t predicting a strong box office open. The current estimates have The Mummy sitting at $40 million domestically, which means that if the reviews aren’t strong, the pic is doomed. Whether or not it will force Universal to head back to the drawing board once again is hard to say, but it doesn’t seem likely. That’s because the studio has already put plans into place for the next few projects in their budding Monsters Universe. One of those happens to be Frankenstein, which we haven’t heard too much about just yet. However, last year we got an exciting update when Variety reported that Javier Bardem was looking to play the titular character. Since then, though, all’s gone quiet and we’ve had no confirmation one way or another on the casting. Unfortunately, that hasn’t changed today, either, as from the sounds of it, the actor still isn’t locked in just yet. Speaking to Cinema Blend while doing press for Pirates of the Caribbean: Dead Men Tell No Tales, Bardem expressed interest in the role and though he did admit that talks are underway, he wouldn’t give a firm answer on if we can expect to see him in the pic. Sounds promising, but definitely not a done deal. Still, Universal would be smart to rope in a critically acclaimed actor like Bardem and we’d love to see him join the franchise. He’s a talented individual who can disappear into just about any part and make it his own. As for why this hasn’t gone through yet then is unclear, but most likely, the Skyfall star is waiting to see how The Mummy does first before he signs on. Again, that’s why the Tom Cruise-starring thriller has to be a hit. If it’s not, the studio’s plans for a Monsters Universe run the risk of crumbling before they can even really come to fruition. Admittedly, a $40 million open wouldn’t be the kiss of death, but it would definitely have Universal thinking twice before going all in on the franchise, like they seem intent on doing. 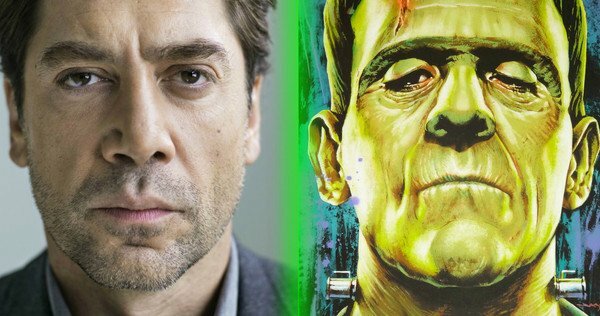 While we wait to see how The Mummy ends up performing, tell us, would you like to see Javier Bardem bring Frankenstein to life? Let us know in the usual place.